Lies in the southernmost part of the Philippines is a cluster of 107 islands and islets scattered around Sulu and Celebes sea even closer to Malaysia is the Province of Tawi Tawi. Not a typical destination to many because of posing dangers that makes its tourism a little blurry, but to me, it's my ultimate travel place-a dream destination. To the brave souls, it's a promising sight and a rewarding treat. 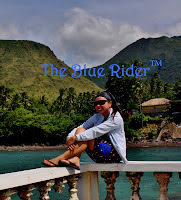 The thought of setting foot on the last province and southernmost tip of the Philippines is such an achievement. In addition, I know only a handful of travelers have ventured to this part of the country. That’s probably another reason why I wanted to go here . Thanks to seat sales, combo of Zamboanga and Tawi Tawi, I finally got to tick it off my bucket list. I am not an expert in national defense situations and very seldom I get updates, but as a private citizen, I can positively say it’s safe in Tawi Tawi. As safe as any place could be, I would imagine. The perception that Muslim areas in the Philippines are dangerous still prevails, even among Mindanaoans. Allow me, then, to show you what I experienced in Tawi-Tawi. It was early morning of Friday when we left Zamboanga City via Cebu Pacific, the only airline flying to Tawi Tawi as of this writing. Packed with a brave heart and a curious mind, my travel mates and I took less than an hour flight to our ultimate destination. Filled with excitement, most of us wanted to take the window seats…of course, so we can have an aerial view. On the plane before touchdown, the alluring coastlines and sparkling sapphire and emerald waters were a sight to behold! It was almost 8 in the morning when we finally heard, “We have just landed at Sanga Sanga Airport” Oh yeah baby, this is Tawi Tawi! The moment we arrived at the airport, I could see how relaxed people were. Police personnel and Tourism staff warmly welcomed us. And during our entire stay, I didn’t sense anything untoward or unusual. All I could feel the whole time was a sense of newness, but at the same time a feeling of familiarity – this is still Philippines after all. Since we do not have a fixed itinerary there were commotions while we’re inside the tourism office. We’re asking specific instructions on how to get to particular places but given several answers. Good thing we found ‘'a local friend” who helped us all throughout the trip. We even met one Taiwanese diver, and in turn, was not able to dive because he joined in almost if not all activities we have for this entire trip. We met a new friend instantly! We were invited to have coffee in their house before we start our sojourn in this amazing place. We were still undecided where to stay in Tawi Tawi. I reserved two rooms in Rachel’s place but according to the tourism officer, the town sleeps very early and it’s best for us to stay somewhere near the beach. Still not sure what’s going to be the activity for the day, we headed to the Beachside Inn. It was about a fifteen-minute ride on cemented roads. (Most roads on Bongao and Sanga-Sanga Islands are cemented.) The main mode of personal transport there is the motorcycle, and tricycles are the best way to get around if you don’t have one. Although, sedans and SUVs are also present. Along the way, I can’t help but be amazed with the sceneries. Stilt houses almost everywhere, for real, I am in Tawi Tawi. Sir Rosendo Reyes, Allen’s (the Taiwanese guy) contact in Tawi Tawi met us at the inn and suggested that we do our island hopping the next day for us to make the most out of it, and we agreed. Since we really have nothing much to do for the day, we entertained the idea of getting an intro dive course. We were so excited that we will experience the underwater world in Tawi Tawi. The Beachside Inn is untrue to its name because I thought it’s a resort near the beach but in reality the beach is actually in front of the property. It’s in a sprawling compound, with about 22 or so rooms. The rooms, while really basic, are air-conditioned and also outfitted with electric fans to keep it cool when they used a generator during the scheduled power outages. We settled our things and off we go to Mt. View resort. From there we will be given orientation before the actual diving! Wohooo! I enjoyed the sea breeze and the calm environment while my buddies went for swimming. I don’t know why I am not in the mood to swim that day..hehehe! I learned a lot about the place while sitting and relaxing. The name of Tawi-Tawi is a projection of the Malay word "jaui" meaning "far." Prehistoric travelers from the Asian mainland would repeat the word as "jaui-jaui" to mean "far away" because of the distance of the islands from the continent of Asia. 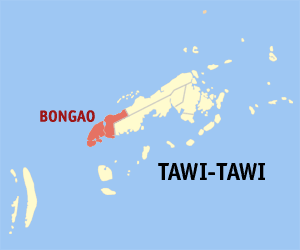 The word "Tawi-Tawi" was picked up to later become the official name of the province. Presently, funny and maybe half true ,Tawi Tawi is a “Tawiran” (when people gets transported from one place to another by the terrorists). We had a sumptuous meal prepared by the resort staff though the bill was unexpectedly high (hehehe! charge to experience) Fresh buko juice to quench our thirst, grilled fish, squid and veggies were served during lunch. Now, we are ready for another adventure Bud Bongao: The highest mountain in the entire province of Tawi Tawi. One of the main reason why we went here is to climb the most revered mountain. I think it’s a must to hike this iconic peak for you to say that you have completed your visit to the southernmost province in the Philippines. After we had our lunch, it’s time to stretch those legs. A trip to Tawi Tawi will never be complete without the experience of climbing the highest peak of the province and the most revered mountain. Standing at a height of 314 MASL, you will not miss seeing this even from the airport. Bud Bongao (Tausug word for mountain) is a sacred mountain for the people of Tawi Tawi. Here, they climb to meditate, offer prayers and worship or to ask blessings from Allah. After that heavy meal, we went straight to the jump off point to start our hike. We’re advised that wild monkeys live in the mountain and we need to bring something for them so we can pass by smoothly (in short, we need to give them food). A friend told us that the trail is easy and visible but he never allowed us to trek all by ourselves, so we hired someone (a local teenager) to be our guide. It is highly suggested to have a guide especially if it’s your first time to climb this mountain. The climb is relatively easy with some constant ascend, but because we don’t have any warm ups, it’s a bit difficult for us (hehehe-kain pa more!) The mountain has a forested but very established trail with some concrete stairs. According to our guide, the climb will usually take 1 to 2 hours to reach the peak depending on your pace. Roughly 30 minutes of the trek, the long tailed monkeys roaming freely welcomed us. And YES, they were very happy to grab the foods we have for them. At first, I got scared when they started to hop between trees, but as the trek continues, I got used to hearing and seeing them and eventually feeding them. Yey! Aside from being a place of prayer and meditation, I also noticed several tombs during the trek. It’s the tombs of the Muslim Imams, covered with white cloth. I didn’t take a closer picture though as a sign of respect, but as you can see in the background, there’s a tomb near this small shaded area where we rested. After almost 2 hours of tiring, sweaty and exhausting climb we reached Bud Bongao’s peak. Everything got washed away upon reaching it’s summit, the view is breathtaking. The feeling is truly awesome! Deep inside, my heart’s shouting “Oh yeah, this is Tawi Tawi’s pride!” From here, you will see a panoramic view of the open sea , the neighboring islands, even the airport’s runway. It’s almost sunset when we arrived. We stayed for an hour admiring the beautiful landscape. We enjoyed taking photos of course in this stunning view. The strong wind blowing was a great company up there. Adding to the fun at the peak, we met some members and admin of FUNtastic Philippines and two cool travel bloggers of ACEpedition Philippines and Binatang Lakwatsero. Locals would say you haven’t been to Tawi Tawi if you haven’t climbed Bud Bongao and after paying respect to this sacred mountain, I couldn’t agree more. Aside from the stunning views on top, the chance to see the traditions and beliefs of our Muslim brothers and the first hand experience of climbing the only mountain in the Philippines where a foreign land (Malaysian Borneo) can be seen makes it truly a memorable hike. Needless to say, every time we hear Basilan we always associate it with kidnapping, massacre and terrorism. In short, a very dangerous place. Any reason can never be good enough when you say, you are traveling to Basilan, a place where a lot of people would not dare go. As for me, every place has it’s good and bad side. I hear the news about the bad side of Basilan, now it’s time for me to discover the good side of it. The simplest idea of seeing the soft side and charm of Basilan already convinced me to go. For the record, I wouldn't dare go if I didn't know someone who's willing to show me around Basilan. Good thing a travel mate knows someone, a local from the place. All set for the day. 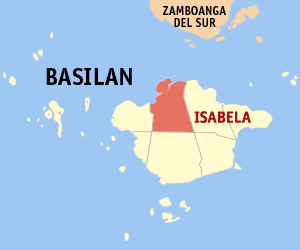 The Province of Basilan (Lalawigan ng Basilan in Filipino/Tagalog; Provincia de Basilan in Spanish/Chavacano) is an island province of the Philippines within the Autonomous Region in Muslim Mindanao (ARMM). Basilan is the largest and northernmost of the major islands of the Sulu Archipelago and is located just off the southern coast of Zamboanga Peninsula. Its capital, Isabela City, is administered as part of the Zamboanga Peninsula Region. Basilan is home to three main ethnic groups, the indigenous Yakans, and the later-arriving Tausugs and Chavacanos. The Yakans and Tausugs are predominantly Muslim, while the Chavacanos are mainly Christian. 20% Christians and 80% Muslim in the area. After breakfast, we walked towards the port area. We bought tickets bound to Isabela for P150 each. It would be an hour of ferry ride to reach Basilan. We arrived early in the port for the trip so we have to wait for the boat to arrived. A tinged of fear caught me when I saw military men disembarking the boat. Che, this is it! At that moment I am in doubt if I could use my camera or not. Anyway, it didn't matter much as this travel would be beyond pictures and souvenirs. It would really be plain experience. The ferry ride was comfortable. We arrived in Isabela and honestly it looked like a normal town. Thank goodness there weren't any sign of the slightest commotion to worry about. A local guide, picked us up and led us to the boat that will take us to the Malamawi Island, where we can spend an hour or so on the white beach. According to our local guide, there are two kinds of boat that can take us to the next island, the one with a stabilizing outriggers while the other one is a plane motorized boat. The latter was preferable because it is faster than as compared to the outrigger ones, not in speed though. These boats can take you to the island even if it’s not fully loaded. Before we hop on to the boat, we bought some stuff for lunch. Although we heard that Curacha is famous in Zamboanga, we actually bought and tasted one here in Basilan. White Beach can be reached by crossing the island of Isabela towards Malamawi Island. Fare is just P5. After that, we still need to travel by land for about 30mins or less. Very rare that I catch the news on TV that's why I don't really have any idea that an ambush can happen here in Basilan. Sometimes the less you know, the less paranoid you become. The road to the white beach is a regular provincial sight. Along the road our driver mentioned that half of the land was owned by the Governor of Basilan. Eh di wow!!! We passed by unmaintained Mango Plantation, unpaved road, high trees, fresh air, and a good number of houses. And yep, nothing unexpected happened. We reached White Beach safe and sound. Ironic scene as it may seem, a serene beach in a terror town! I think this made the beach more beautiful and exotic. I was in awe when I had my first glimpse of the beach. I felt very privilege to see this pristine wonder with my own eyes. ..and I bet it would still take a long time before outsiders would begin to visit this unspoiled beach. The water is clear, and best of all, it felt like we own the place for the day. We caught some locals making a bamboo raft and one of my travel buddies join them going to the floating raft 10 meters away from the shore. For an outsider and a first timer, I didn't feel any tension or anything. A beach is a happy place, even if this one's located in Basilan. We had fun doing our photo Ops here in this white beach. One of my travel buddies who joined the locals for swimming told him that there is a great spot on top of the hill where you can witness a 360 view of the landscape of Malamawi island. I guess it pays when you blend with the locals, the view up here is truly breath taking. Well, the governor has a rest house on top of the hill. Burp! Thank you Lord for a great lunch. We had a short chit chat with our host and I found out that Ate (wife of the host’s brother, i forgot to ask her name) is an Ilongga, originally from Hinoba-an – small world! We hailed a tricycle to tour us around the area, and it so happen that our Driver knows the province well enough so we had a very informative ride. First destination was Menzi (rubber plantation). I was expecting to see a rubber factory but we were taken to a semi forest like “Rubber Tree” plantation. It looks like the manmade forest I've seen in Bohol and one in Siquiior when you go to Salagdoong. It’s very rare to see a waterfalls beside the road. We parked at the side, just near the bridge, walked few meters and reached Cabunbata Falls. Off we go to our last and final destination, the City Center. We wanted to see a mosque so our drivers took us to the State University where one of the biggest mosque can be found. From the looks of it, the mosque is newly built. We just took pictures with permission from the locals and off we go. I had to drop by Jollibee as part of my trip but was not able to purchase any meal, the queue is too long. We need to catch our boat back to Zamboanga City. This Basilan trip may look risky but I didn't want to over-analyze things. For me it's just a plain matter of luck. As far as I know, there's not a red-alert advisory when we visited Basilan so it's safe to go. No one could really tell what will happen so just hope for the best and have fun at the same time. What’s life is you wont take risk, after all life is an adventure. This is surely one memorable escapade that I've experienced in my life. Thank you to the warm hospitality of our hosts. I will forever brag that I've met a good family in Basilan. Now i realized, Basilan is not just a terror town but an awesome place with great and welcoming locals.